PARRYS International Wolves were unable to add to their Elite League points tally as they slipped to a 50-40 defeat against King’s Lynn at the Adrian Flux Arena. Peter Adams’ side put in a determined effort against the Stars – but they eventually fell short of a consolation point. 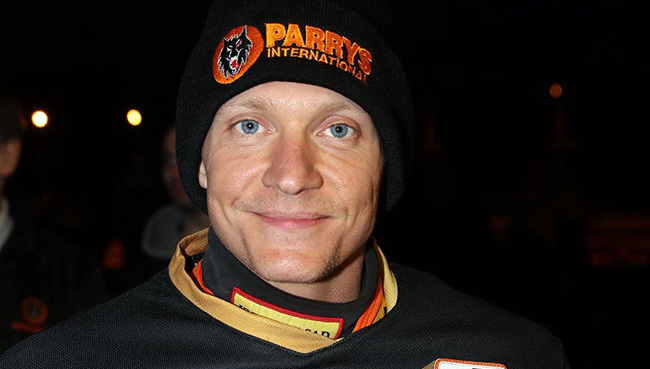 They were made to pay the price for a tough spell in the middle of the meeting, with 5-1s for King’s Lynn in heats nine and 11 – the second as skipper Peter Karlsson took a tactical ride – leaving Wolves with too much to do in the closing stages. No.1 Freddie Lindgren and the impressive Ricky Wells did join forces for a Wolves maximum in heat 15 to ensure they ended their evening on a high, but they could not earn a point as reward for their efforts. And Lindgren, who top scored with an 11+2 point haul following a strong showing, admitted they were disappointed to leave their third consecutive away meeting pointless. Said Lindgren: “King’s Lynn are a really good team who are strong at home. We did our best, but unfortunately it wasn’t quite enough to get a point in the end. Whilst Lindgren and Wells both notched double figures, reserve duo Lewis Blackbird and Josh Bates both battled to solid scores. However, skipper Karlsson endured a tough night as he returned from illness, whilst Swedish compatriot Jacob Thorssell also struggled at second string. With Kyle Howarth failing to score as a guest for injured Polish ace Tobiasz Musielak, Wolves were undone by a strong Stars side. They will nonetheless be back in action and seeking revenge as they welcome King’s Lynn to Monmore Green for a mouth-watering clash on Monday (7.30).